The wedding of Siyu and Simon on Friday 21st February was the first of many videos for Vision Wave Weddings of 2014. The summer months are set to be especially busy with wedding videos on most weekends. A new feature that we can offer to customers is the option to have you wedding video on a Blu-Ray disc – please enquire for details.  Follow our official Facebook page for more information about Vision Wave Weddings.